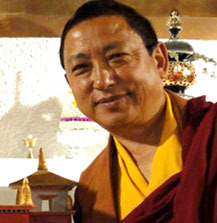 In the Western world, where values are constantly questioned, our societies are searching for new meaning as well as new perspectives and are turning towards Buddhism more and more. 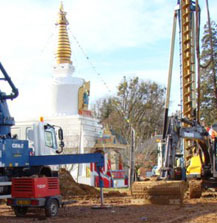 Since the 8th century, Himalayan builders dedicated to wisdom and compassion have been inspired by these values to erect stupas, temples and monasteries in their region. Today numerous monuments, also radiating this same peaceful and serene energy, have been built in Europe and in the United States. 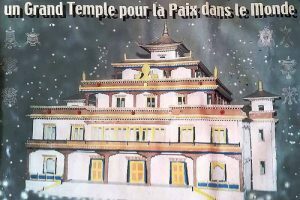 It is in this spirit, making reference to 25 centuries of Buddhist spirituality, that the Temple for Peace will soon rise on the Vajradhara Ling site in Aubry-le-Panthou located in the heart of southeastern Normandy. 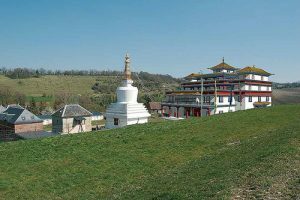 In the heart of Buddhist cultures, the temple itself represents a perfectly pure medium, a sacred place which brings together followers and visitors in a state of respectful reverence, favorable for meditation and reflection. 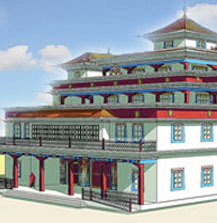 It is also a place of education in many different domains from medicine to philosophy to debating and sciences. 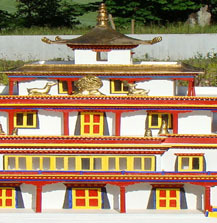 The Temple for Peace will offer a Buddhist view of inner peace through teachings, meditation techniques and rituals all stemming from thousand-year-old knowledge.